You and I both know that the handmade Christmas ornaments on your tree are the very best. Each year, we put up ornaments that I made when I was my childrens’ ages. And each year, they add to our collection. This year it was glitter poinsettias, a snowman made out of a recycled CD, reindeer fingerprints, and rough-cut gingerbread men. But there’s always room for more handmade goodies. And that’s why I scheduled some projecting time to make these amazing Toboggan Ornaments with the kids this year! Want to make your own? 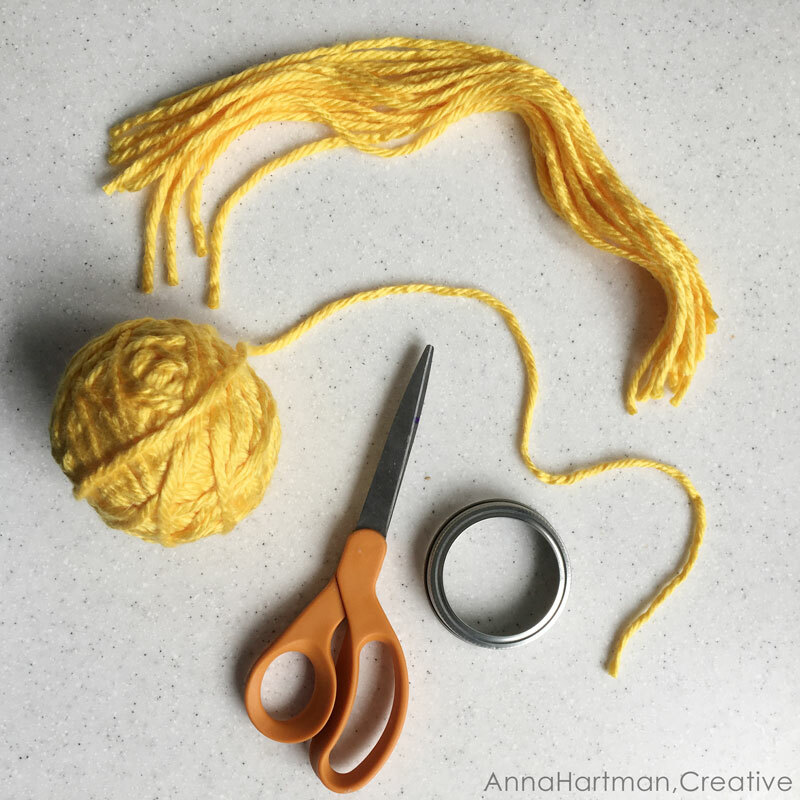 Here’s what you’ll need: Scissors, Yarn (any weight), and something donut-shaped. 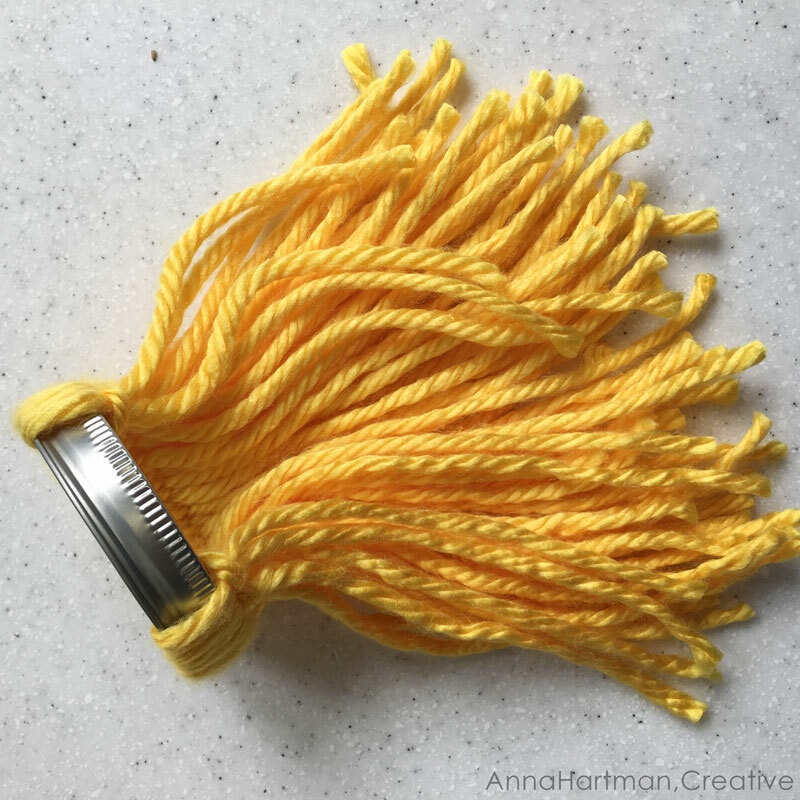 For this tutorial, I used the lip of a Mason jar, but the kids made theirs using toilet paper rolls cut into smaller heights. 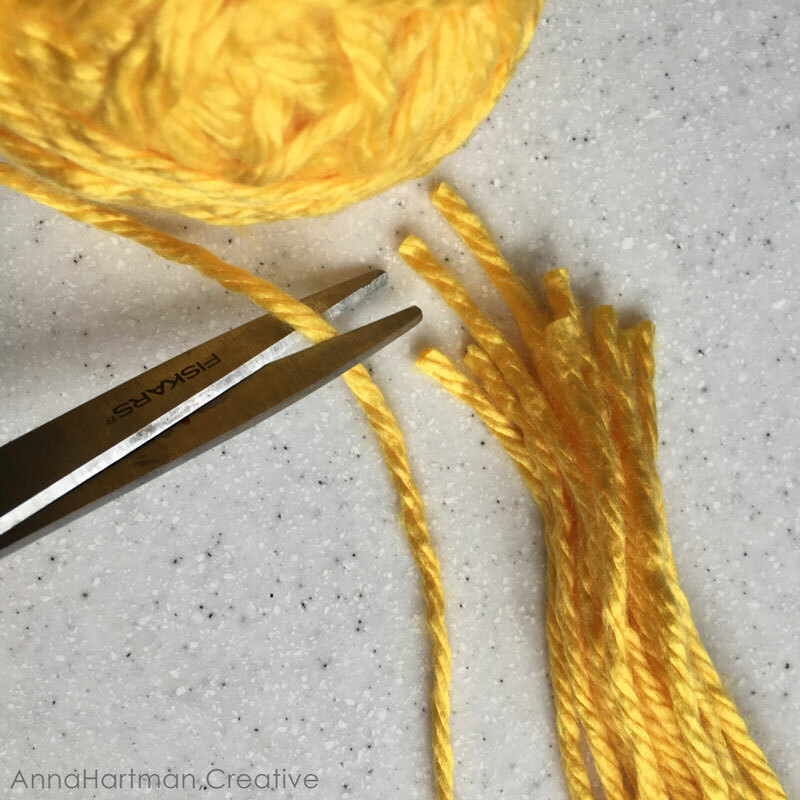 Cut your yarn into equal lengths. How long depends on how long you want your toboggan to be. At least 6 inches, no longer than a foot. 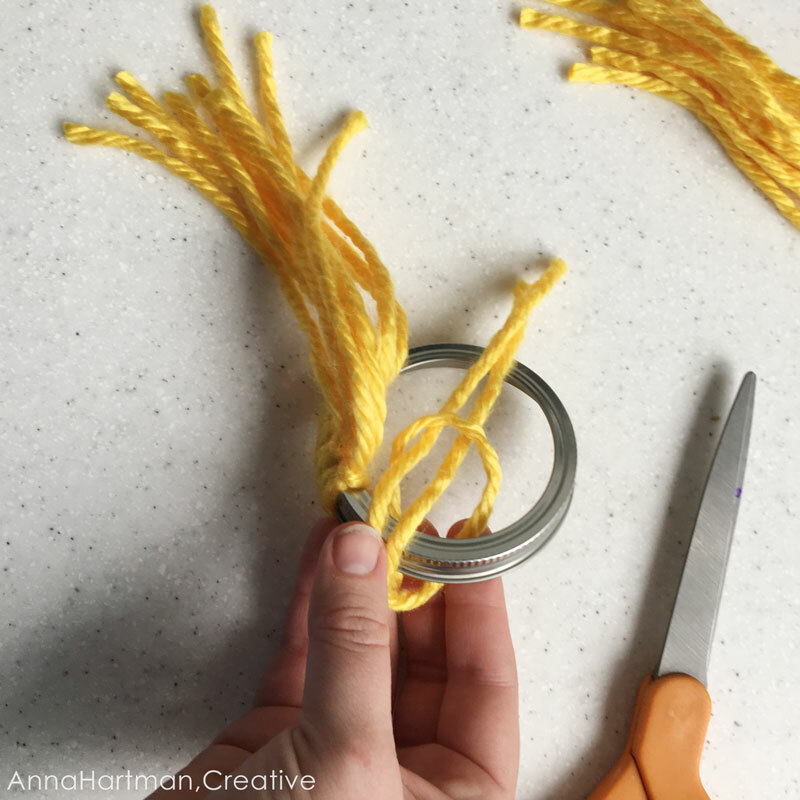 You’ll need at least 40 strands, but maybe more depending on how big of a circle you’re working with. Now you’re ready to tie the easiest knot ever. 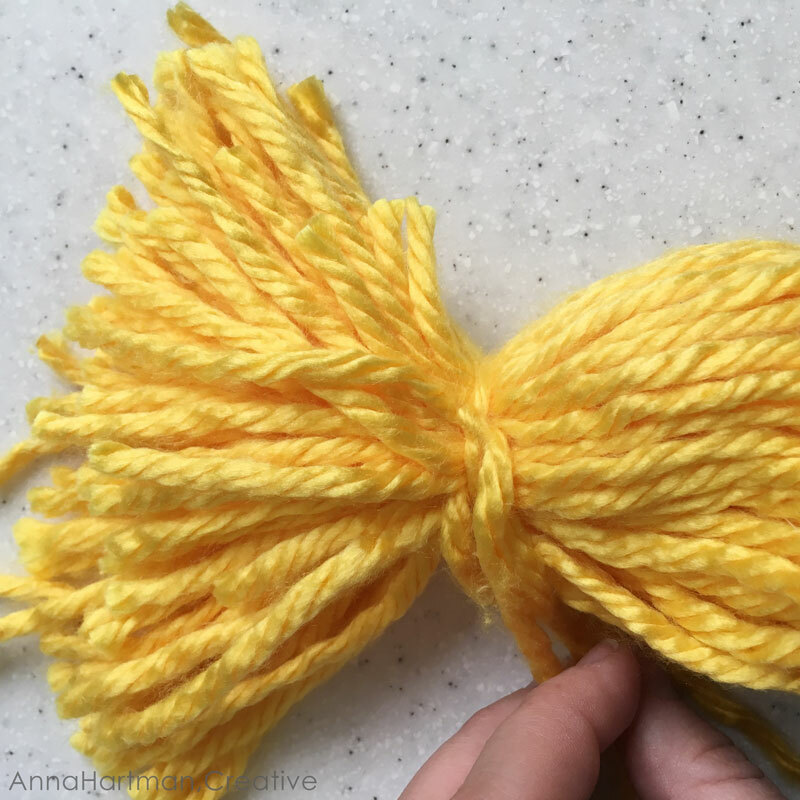 Take a length of yarn and fold it in half. 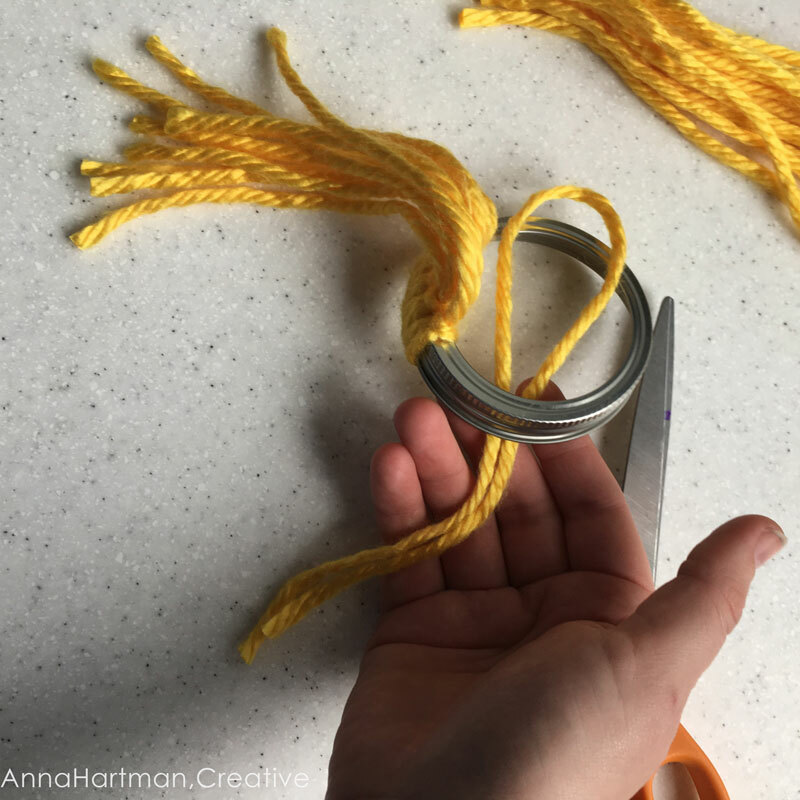 Pass the loop of yarn through the center of your circle. Now pull the loose ends around the outside of your circle and through the loop. 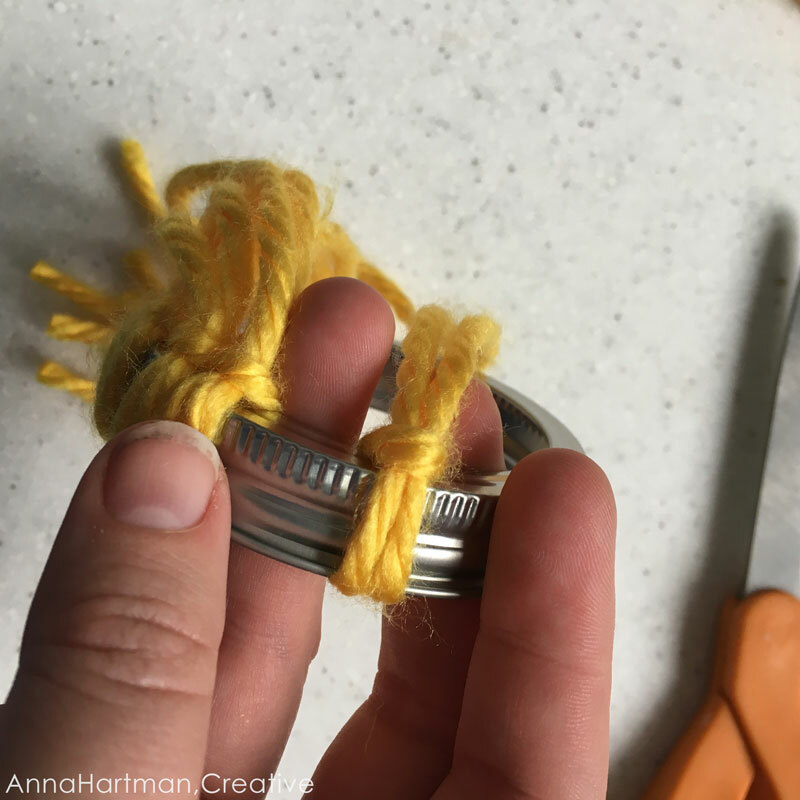 Slide the yarn loops together, and repeat this process for each strand of yarn. Make sure your entire circle is well covered. 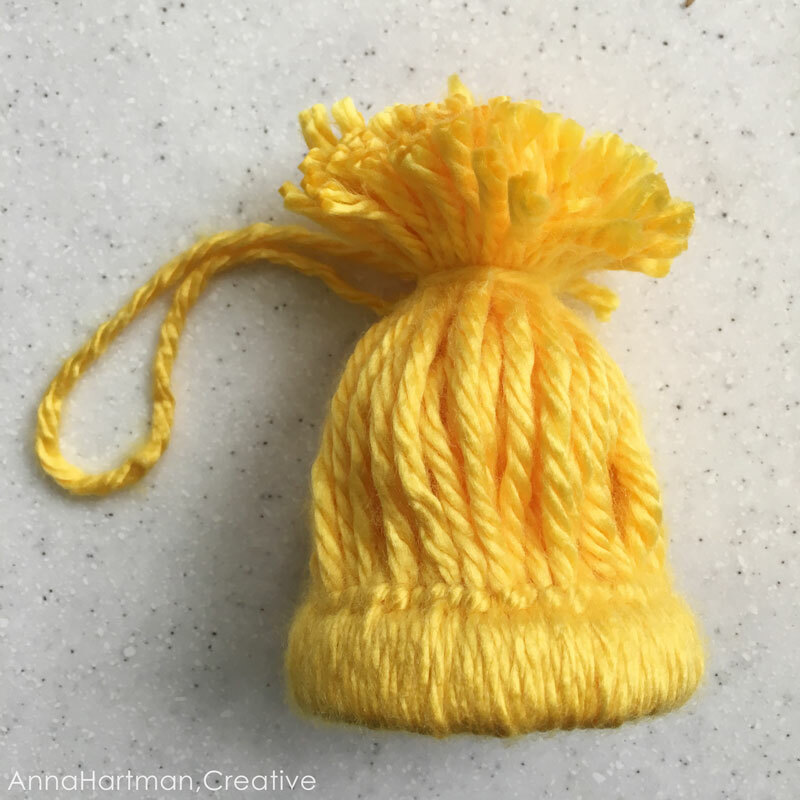 When you make it all the way around, gather all the long ends of yarn and tie them together with matching yarn. 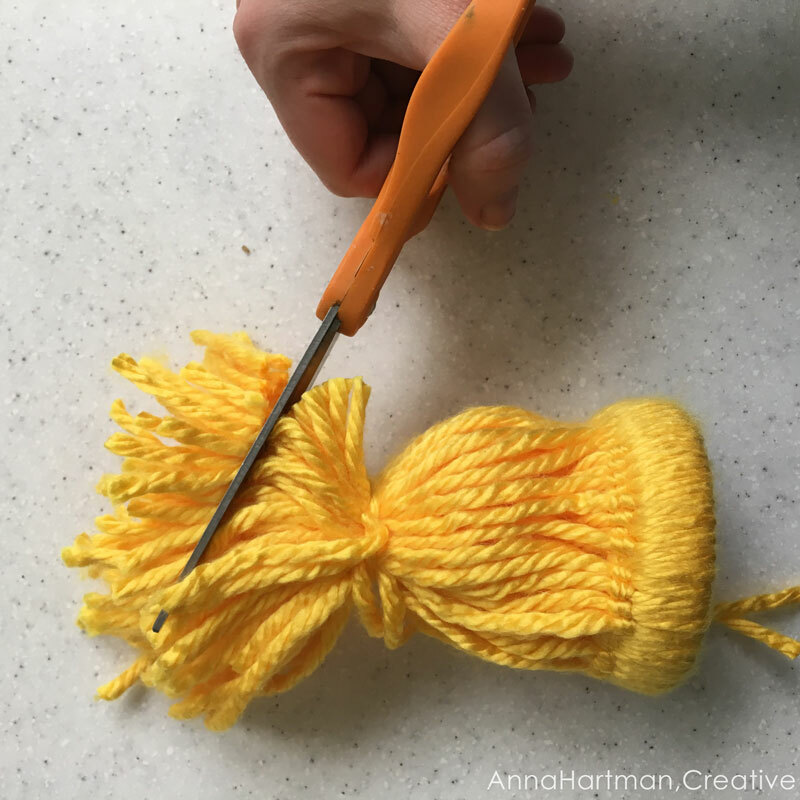 Trim the ends in a rounded way to make them look like a pom pom on top of a toboggan. And ta-da! 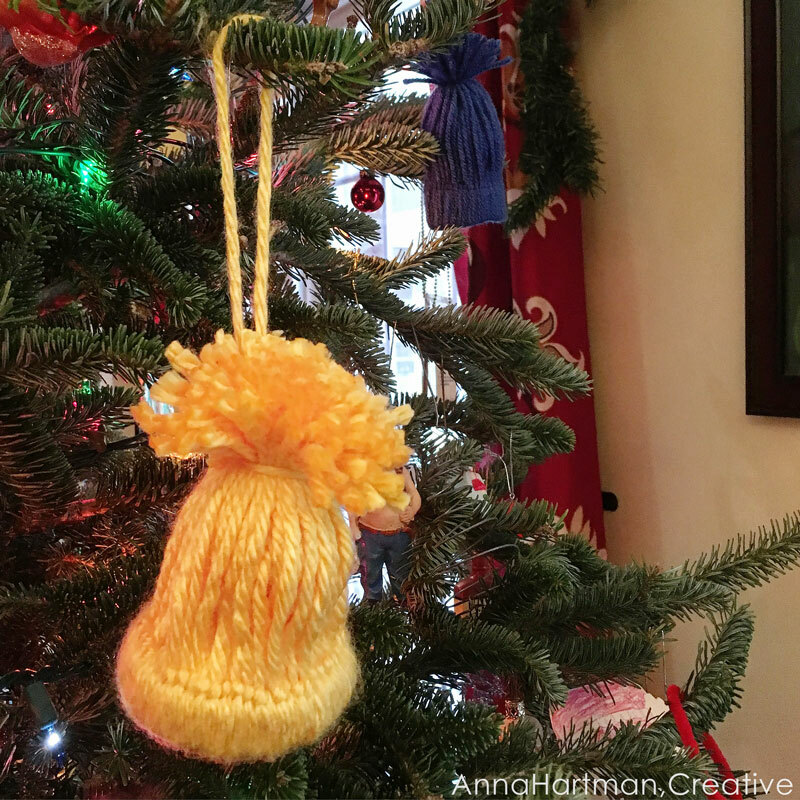 Hang your mini toboggan on your tree, use it to decorate wrapped packages, as a placeholder on your holiday table, or as a hat for that bottle of wine you’re gifting. And watch me and my kiddos on Lowcountry Live on Tuesday, December 20. I’ll be making these live and in person, so you don’t want to miss it! Thank you so much for tuning in, Annie! Happy Holidays!